Look out, Wendy's fans: if you've got the chain's recently relaunched app, you now have 26 days to pick up a free burger (or chicken sandwich)! Well, provided you pay for another one first, at least. Yes, from today until March 31, Wendy's is offering a buy-one-get-one-free deal on a Dave's Single Burger or Wendy's Spicy Chicken Sandwich, per Thrillist. All you need is to do to make good on the deal is to download the Wendy's app, and click the "offers" section of the "account" section" to redeem the BOGO deal, which could come in handy if you're planning on dining on some Wendy's with, say, a burger and/or spicy chicken-desiring friend. Or, if you're more into Wendy's large salads, you can also get $2 off any large salad from Wendy's. 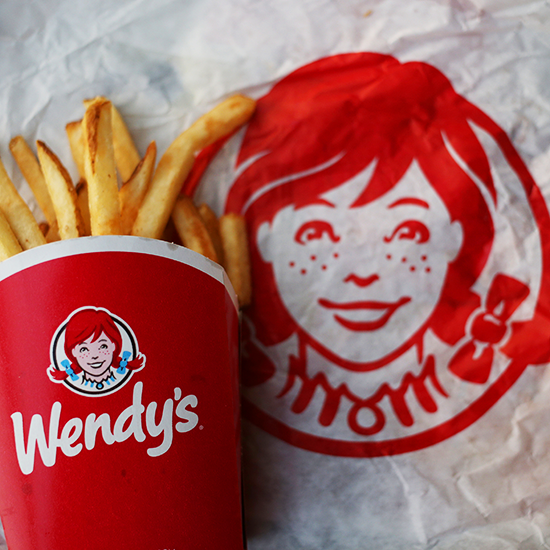 Eagle-eyed Wendy's deal-spotters may notice that this deal is not so different from the deal the Wendy's offered through its app just last month, which would be because it is, in fact, an identical deal. Could it be that this deal is going to become a permanent fixture of the Wendy's app in 2018, if not for all of eternity? Probably not. But the chain is offering some other big deals as well, like the now $1 Double Stack. But perhaps the biggest deal of all is increasingly aggressive Twitter presence, which has gone from helping a chicken nugget-loving teenager pick up the most re-tweeted tweet in the history of the platform to just being extremely aggressive, and insulting rival fast food chains and random people alike. So, if you don't like this deal, don't tweet at Wendy's about it, as you will probably end up on the wrong end of a Twitter war. Especially because if Wendy's plans continue, it might end up knowing where you live—the chain has been expanding its way into the delivery market, too.